A major transit agency approached Winchester Interconnect to help design new wayside power and relay control junction boxes for one of its aging train layover facilities. The customer wanted to improve electrical monitoring, enhance the application’s ruggedness, reduce the size of the wayside power junction box and provide added security features. To support early morning rush hour, commuter service trains are typically staged overnight at wayside passenger rail layover facilities. 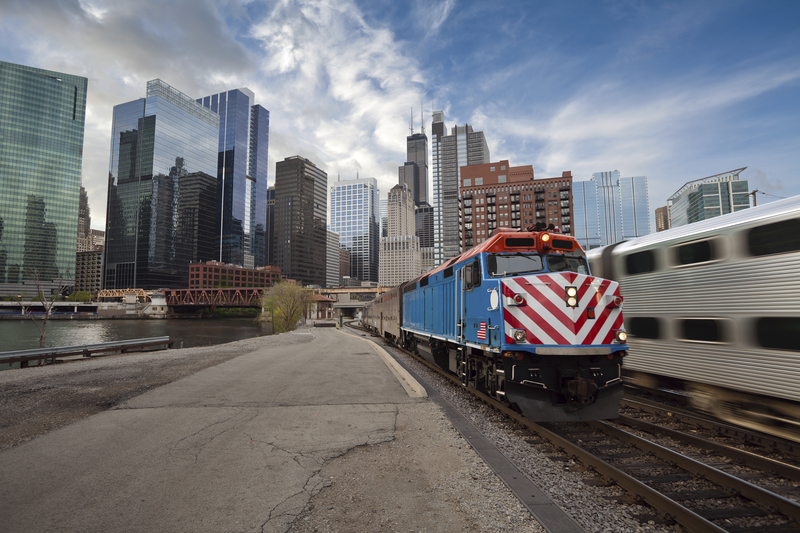 These locations use wayside power and relay control boxes to connect with rail cars and locomotives to conserve fuel and maintain temperature levels so that the cars will be prepared for the morning rush hour. Passenger rail layover facilities are utilized at all major transit agencies with an average of 12 – 25 layover wayside stations at each facility. A typical wayside station has power junction boxes that utilize two 480V receptacles and two 25’ power jumper cables. The 480V cables act as extension cables to connect the wayside junction box to the rail car train set. The transit authority that approached Winchester was having problems with its current wayside junction boxes due to dated electrical components and lack of security protection. In addition, wide loads on certain rail cars can hit the wayside boxes and damage part of the box which can create diagnostic monitoring issues and present critical delays for trains being staged for the early morning rush hour service. Also, relay control boxes and wayside power panels are subject to extreme environmental conditions. These conditions can freeze the control box and impact a technician’s ability to perform occasional service on the boxes. Operators also wanted to be able to turn off the power externally on the wayside boxes instead of turning the power off at the junction box end, which was located further away. Winchester custom designed a more modern and compact wayside power and relay control junction box. The solution boasts improved electrical monitoring components and secure locking features for increased safety. Also, the lower profile wayside boxes have a narrower depth than the original boxes, which provides clearance for the freight cars with wide loads. The wayside and relay junction control boxes have a padlock and mechanical key to turn on or off so that a field technician can directly control the power prior to any repairs and not have to utilize the relay control junction boxes for power control as they are located further away. Lastly, a heating element was added to the boxes to remove condensation and help prevent the boxes from freezing shut during cold winters. The value-added design approach includes Winchester’s Cadillac-Win 480V HEP receptacle and 25’ plug connector assemblies.